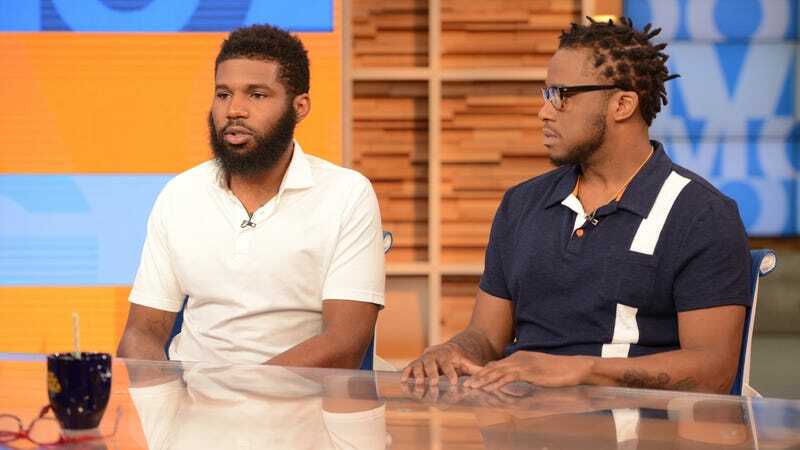 Thursday, May 3 Update: Since their baseless arrest at a Philadelphia Starbucks, Rashon Nelson and Donte Robinson met with Starbucks CEO Kevin Johnson at his request so that he could make an in-person apology. Yesterday, the Associated Press reports, “the pair settled with the city ‘for a symbolic $1 each and a promise from officials to set up a $200,000 program for young entrepreneurs.’” The program will benefit Philadelphia high school students. The men and their lawyer told the AP “the settlement was an effort to make sure something positive came out of the incident.” To hopefully further that effort, as has been previously reported, 8,000 nationwide Starbucks will be closed on the afternoon of May 29 so that staff can undergo training to help prevent racial bias. Meanwhile, Johnson is making the rounds on morning media outlets; on ABC’s Good Morning America, he “reiterated that the arrests were ‘reprehensible’ and said he hoped to meet with the men to discuss ‘a constructive solution.’” The two men haven’t responded yet, and why should they? The only solution is to stop racial profiling in the first place.